What a glorious Sunday it has been, my mum looked after my son for the morning and afternoon, whilst my husband and I ran some errands and had a coffee, in our local Nero. I love their Chai Latte. 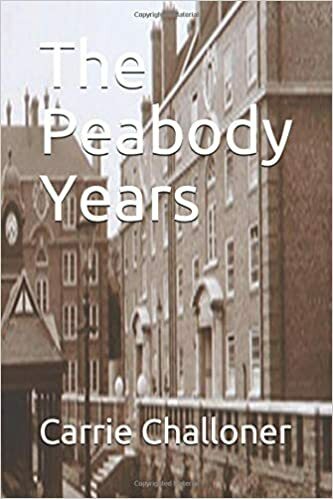 Plus I have a new book out and published called The Peabody years. Available in Kindle edition and Paperback on Amazon.com. It is book sharing my story of growing up in Peabody Estate in Hammersmith and the many sad and happy memories I have had living in Peabody Estate. It has been a good weekend, yesterday was spent writing my next book, which is going to follow up of The Parenting Adventures, Nursery to School years. Writing is my passion and I love it, and also love books at the moment I am listening to Mel Robbins The 5 Second Rule and reading a book called Two steps Forward, and I will write a review on both once I have completed those. I also watched my favourite film called You’ve Got Mail, with Tom Hanks and Meg Ryan. So what have you been up to this weekend I would love to hear. Planning my life is a juggling act, the first thing I always do is update my google calendar and then put any appointments in my Filofax’s which I do have two of, I use these as my everyday planner. Along with my yearly hanging calendar I have in my living room, and then once I have checked these I then will update my work planner. I also make sure I have a notebook near by as I tend to use these as to do a whole brain dump of everything I need to get done. I couldn’t go a week without planning my life, and setting time for my books and blogs as well setting time out to spend with my son. How do you plan your life I would love to hear from you. I think I have Queen Mania as at the moment I can’t help but play their music, and through watching Queen on Youtube came across this singer called Marc Martel. I also love the Adam Lambert’s version of the Cher song, Believe. Check out this interview of Brian May interview with Lorraine, he talks about how Freddie Mercury would have loved that Queen continue on their legacy and I think he couldn’t be more truthful if he tried. I so want to see them in concert now, and love their music like never before. Whats your favourite Queen song? I came across this video of Queen Rehearsing for Live Aid 1985. Since seeing the film Bohemian Rhapsody I have become a huge Queen fan. I was before but the film has made me more of a fan now. Here’s an interview with Rami Malek Discussing his Freddie Mercury transformation. I think he portrayal of Freddie Mercury was brilliant and uncanny. I do like Adam Lambert too, and I think he had bought Queen back to life along with the rest of the band, and his voice complements the music really well. No one will ever replace Freddie and I think everyone knows that, but it is good that they have bought Queens music back to life. The things I am loving at the moment are, I love watching the 100K drop with Davina McCall. I wouldn’t go on it myself, but I find it nerve wracking watching other people try it out. I think it so depends on what questions you get, as they could be anything. I loved the series Cleaning Up with Sheridan Smith, I love her new music to. This is the one I am loving at the moment, called Northern Soul. The other music I have been listening to is Queen, Who Wants To Live Forever, this has a strong connection with me, as it reminds me of someone I used to work with who sadly died all of a sudden. It was so unexpected that whenever I listen to the song it takes me back to that time, and keeps Nigel (was his name) memory alive for me. If you liked the film Bohemian Rhapsody, then you will like this video, which shows the making of the film. So what music and TV have you been loving at the moment? Happy Valentines Day to everyone. Me and my hubby don’t really celebrate the day as such, but I will cook dinner tonight as per normal. I have never really celebrated Valentines Day I did make the effort when it was the year of mine and my husband 10 year anniversary, but apart from that I do treat it as a normal day. We have even forgotten our actual wedding anniversary a few times, my husband is better at remembering those types of dates than me. I just about manage Christmas and this is the only holiday I really celebrate. I used to be a complete humbug when it came to Valentines Day, as I was never a girl who had a lot of boyfriends and didn’t care for it much. Me and my husband celebrate our relationship through out the year and so there is no real significance to celebrate Valentines Day as such, not knocking those who do it just not something I feel I need to celebrate. What about you, do you celebrate valentines day? What do you do to celebrate? Check out this video by The Financial Diet of 15 Everyday things you should do differently in 2019. She gives some fantastic advise on how to do things differently for 2019.